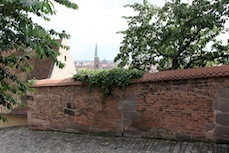 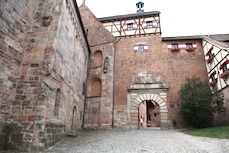 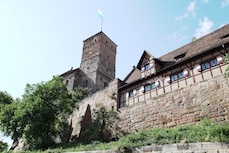 Photos from the past 5 years of the Imperial Castle in Nürnberg before and during restoration. 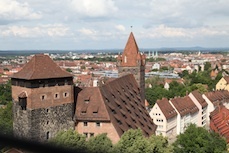 A series of photos of city landmarks that are emphasized in a 1937 landscape of the city painted from the vantage point of the Castle are also shown. 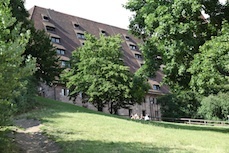 "Private" Building C above old stables. 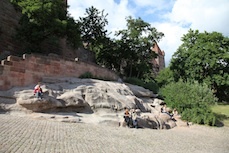 Sandstone bedrock of the Castle. 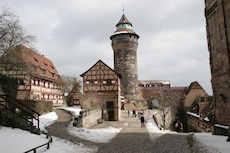 St. Sebald and Opera House from near Castle. 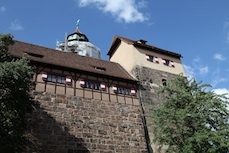 Eastern Castle complex with Old Imperial Stables and Luginsland Tower.